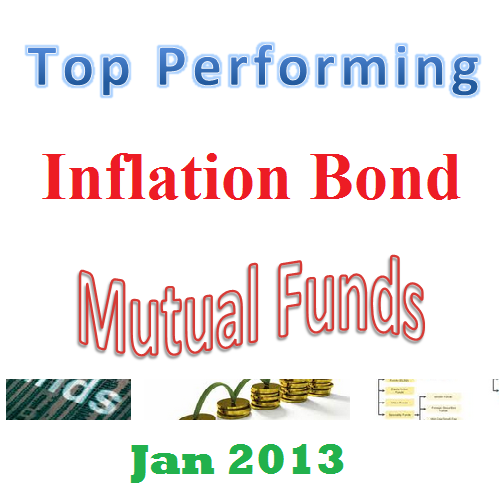 Investing in top inflation protected bond mutual funds 2014 can be done through your brokerage. These best bond funds are Franklin Real Return Fund, Lord Abbett Inflation Focused Fund, etc. Investing in inflation protected bond mutual funds is suitable for core investment. This mutual fund can provide real return for investors. Typically, the investment funds invest in U.S. Treasury whose principal is adjusted quarterly based on inflation. This U.S. treasury is known as United States Treasury inflation-protected securities (TIPS). Some of the mutual funds may invest in other sectors such as international bond, real estate (REITs), high yield bond, etc. Please check your fund objective for details. The investment risks include market risk, interest rate, etc. From this best performing funds list, you may find each individual fund review. You can find the fund performance, expense ratio, and dividend yield from the table below. The list is sorted based on its 1 year return up to June 1, 2014. Franklin Real Return Fund utilizes its assets to purchase inflation-protected securities, investment grade and high-yield fixed income securities, mortgage-backed and other asset-backed securities and real estate investment trusts (REITs). This mutual fund has a yield of 2.03%. Total net assets are $402 million. This class A has a sales load of 4.25%. You can buy this mutual fund with $1,000 initial funding from your brokerages. The annual expense ratio fee is 0.90%. In 2014, the YTD return is 3.01%. This best inflation protected bond mutual fund has a 3 year annualized return of 1.35%. Eaton Vance Short Duration Real Return Fund is a 2 star rating fund. Recently, it has performed above average. With total net assets of $63 million, it has a high expense fee of 1.08%. The portfolio annual turnover rate is 74%. The current share price is $10.19. This top fund has an average effective duration of 1.74 years. Top 3 sectors are U.S. treasure inflation-protected, non-U.S. Treasury, and asset backed. This fixed income fund has a 1 year return of 1.47%. The fund managers are Thomas H Luster, and Stewart D Taylor. This Lord Abbett Inflation Focused Fund has a minimum investment of $1,500. It has a yield of 3.23%. The sales load is 2.25%. This mutual fund has an investment objective of exceed the rate of inflation in the U.S. economy over a full economic cycle. In 2014, the year to date return is 1.47%. Vanguard Short-Term Inflation-Protected Securities Index Fund is one of no sales load mutual funds in the list. This Vanguard fund also has the largest assets of $9 billion. The annual expense fee is only 0.20%. In 2013, it has a negative return, -1.62%. The NAV is $25.01. This top inflation bond fund has an effective maturity of 2.40 years. There are 28 brokerages that offer this fund. The brokerages are Fidelity Retail FundsNetwork, Scottrade NTF, Raymond James, TD Ameritrade Retail, etc.